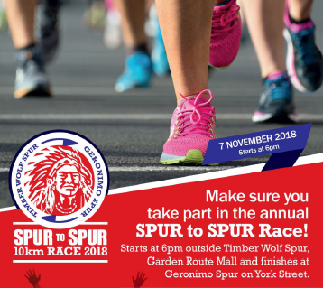 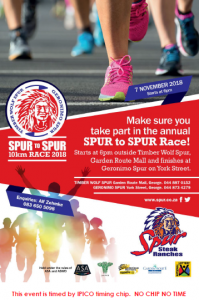 From 16h30 on Race day 7 November 2018 only at Timber Wolf Spur, Garden Route Mall. Pre-entries : Top Gear Sport, Geronimo Spur, York Street and Timber Wolf Spur, Garden Route Mall until Thursday , 6 November 2018 at 17h00. 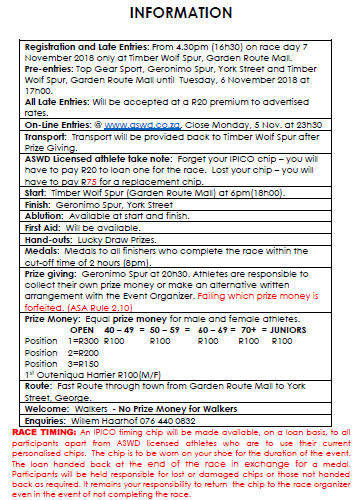 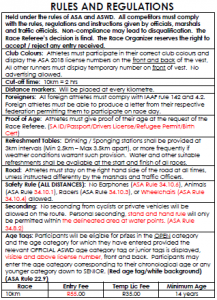 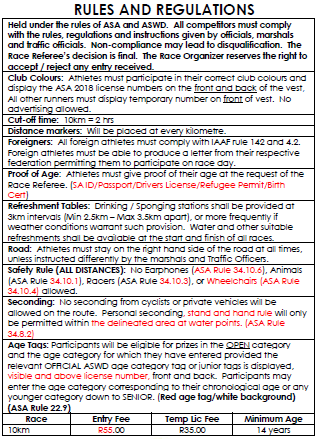 All Late Entries : Will be accepted at a R20 premium to advertised rates. 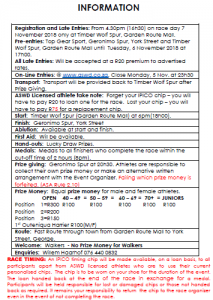 Transport : Will be provided back to Timber Wolf Spur after Prize giving.